One of America’s largest foundations has set aside its history of building hospitals, libraries, and schools in order to pour millions into liberal political causes. The Kresge Foundation, established with a $1.6 million endowment from K-Mart founder Sebastian Spering Kresge in 1924, has morphed into a $3 billion behemoth. Ideological giving has grown along with the foundation’s fortunes under the stewardship of former Minneapolis mayoral candidate Rip Rapson. The group gave approximately $9 million to Washington, D.C., organizations between 2003 and 2006 with nearly half that money going to the American Red Cross. Rapson took over in July 2006; between 2007 and 2011 Kresge gave $52 million to 68 organizations based in Washington, D.C. Nearly all of that money has gone to liberal groups, including lavish grants to the Center for American Progress, Tides Foundation, Sierra Club, and Progressive America Fund. None of these political groups received funding from Kresge prior to 2007. "We’re proud of those and many other grantees," Kresge spokeswoman Judy McGovern said. "I would be hard-pressed to look at those grants and call them political." Kresge is only the latest foundation to substitute political giving for charity, critics say. "Foundations fall into this progressivism and they never think to confess their ideology," said Bill Schambra, director of the Hudson Institute’s Bradley Center for Philanthropy and Civic Renewal. "They see themselves as objective, driven by social sciences and expertise." Kresge created the foundation with a $1.6 million endowment in order to "promote human progress," a prerogative that resulted in hundreds of hospitals, schools, universities, and libraries over the first 80 years of its existence. "The problem starts with the mission. Most of them say they are ‘promoting the well-being of mankind’; that’s so broad that it doesn’t restrain the ambitions of the foundations," Schambra said. "Sooner or later you end up hiring professional philanthropists. That’s the kiss of death. This is how these groups end up perverted." The foundation hired Rapson, then-president of the Minnesota-based McKnight Foundation, in 2006. After his arrival, the group’s board loosened the definition of "human progress" to include progressive activism on behalf of environmental and anti-war groups. When human progress has come into conflict with progressive politics, the foundation has sided with the latter. The group pulled millions of funding from an anti-poverty campaign known as Detroit Works over a conflict with city hall over the role of outside consultants. The spat between Kresge and the city, said the Wall Street Journal, left "tens of thousands of Detroiters waiting to find out whether their neighborhoods will come alive with new investments or be left to fade away." Kresge’s other large collaboration with the city, a rail line toward which Kresge had pledged $35 million, ran into problems last summer when Rapson said the foundation had been frozen out of the planning process. Federal transit authorities, Gov. Rick Snyder, and Detroit Mayor Dave Bing ultimately scrapped the rail line in December in favor of a regional bus rapid transit system. "Many of these public-private partnerships fail because foundations think they make decisions based on the best knowledge of the moment," said Les Lenkowsky, a University of Indiana Professor of Political Affairs and Philanthropic Studies. "It’s too bad because especially in a state like Michigan you have a real need for just the basics, the type of infrastructural support that the state can’t afford," Schambra said. Calls to Rapson, as well as Bing, were not returned. Rapson, as well as the group’s trustees, has not been shy about the foundation’s move away from charitable giving. "The U.S. is dotted with hospitals, museums, libraries, colleges, and universities and community centers, all of which were funded in part with Kresge dollars," Rapson announced in 2011. "Today our funding methods are even more expansive. They include not only challenge grants, but also operating support, project support, and program related investments." The challenge grants include funding for anti-war activities by the Tides Foundation, advocating tighter emissions standards with Clean Air-Cool Planet, and backing social justice groups such as the Progressive America Fund. Board president Elaine Rosen said political giving helps Kresge "be relevant in the 21st century." Kresge had been an anomaly for not making the ideological swing earlier, Lenkowsky said. "They were always an outlier for funding capital projects," he said. "Maybe they built too many buildings." 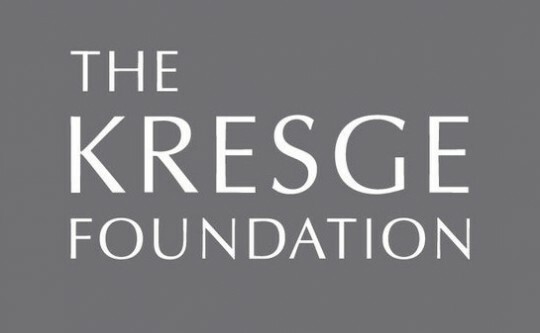 The shift in focus came when Kresge embraced "strategic philanthropy," a term organizations such as the Arca Foundation have used to justify political giving over traditional charity. "Foundations are very impatient with bricks and mortar projects because it’s not getting to the root causes of America’s problems … that’s also why they speak of ‘charity’ with a certain contempt," Schambra said. "It’s a conceit of theirs. They see themselves as the avant-garde at the cutting edge of social change." Kresge hands out between 400 and 500 grants a year, according to spokesman McGovern, who would not elaborate on the group’s transition moving forward. "This is old news," she said. "Strategic philanthropy? The phrase is new, the practice isn’t," he said. "Foundations almost always tilt heavily to the liberal side—even if their giving would make the donor roll in his grave." This entry was posted in National Security and tagged Center for American Progress, Progressive Movement, Tides Foundation. Bookmark the permalink.